So we’ve finally made it to the beach (one where the water / weather is warm enough for us to swim anyway) and it’s heaven! 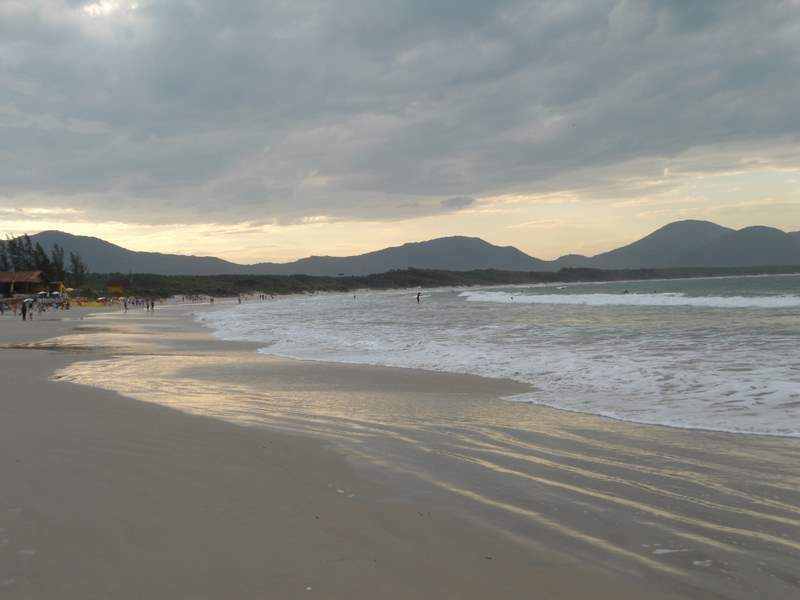 From Foz do Iguacu we took an overnight bus to the town of Florianopolis on the island of Santa Catarina on the south-eastern coast of Brazil. We had been umming-and-erring about whether it was worth the ridiculous number of kilometres but fortunately it was and as the 4 days we’d planned turned into 9, I can safely say that we definitely made the right decision. 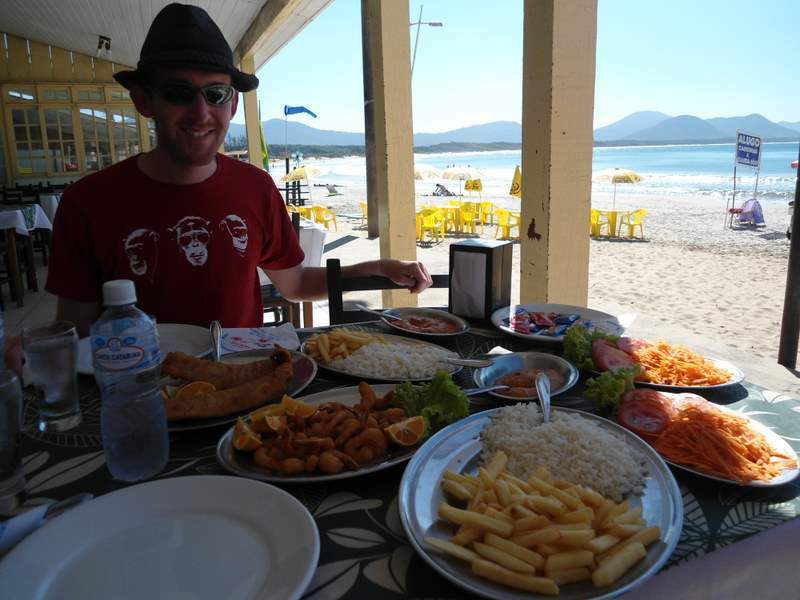 Once we got to the island we and headed straight to the east coast to a place on the beach called Barra da Lagoa. It’s a tiny town / village full of surf shops and bronzed gods (and goddesses) and enough amazing seafood & salad to keep even our expanding waistlines satisfied. 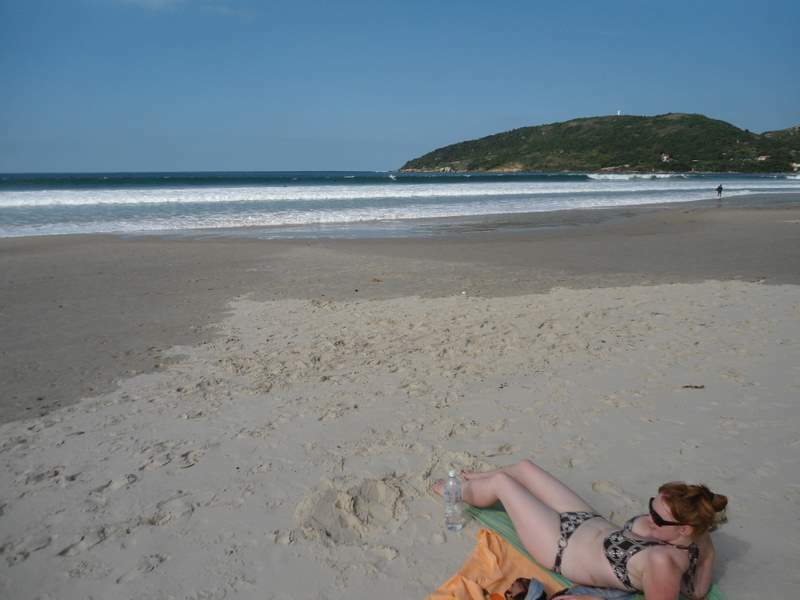 We spent a good few days working our way through the miles of deserted sand & surf, sipping a Caipirinha or two and enjoying the hammocks at our simple but cute hostel before deciding that actually we liked the island so much we’d stay a bit longer. We were after a change of scenery, so we took a gamble and headed not far away but more inland to a tiny place we’d seen on the internet that looked really peaceful and a bit off the beaten track. What a find! For the same price as our hostel (which, although charming, had only 2 toilets in the entire place and was fairly grotty to say the least) we found ourselves in a studio with our own kitchen (including an oven – the first in our hostel experience), our own washing machine, a plasma TV & sofa in our own sitting room, a pool and even better – stairs up to our bedroom! Madness. Needless to say we settled ourselves in and have been enjoying all the luxuries and cooking ourselves up a storm. Bacon & eggs for breakfast yesterday, pancakes this morning, a roast dinner (OMG!) and shepherd’s pie! Of course it’s not all been slaving away in the kitchen – we’re a 20 minute walk away from the beach across some stunning sand dunes and 10 minutes bus from the town on the island. The people here seem just so friendly and welcoming – we played Uno with the guys at the hostel, wave daily to the man at the bus stop, had fresh coconut milk with a couple who we met in a cafe chatting about life in Brazil and went for lunch with the owner of the studio and his son at a per kilo restaurant (a great invention – it’s a buffet where they charge you for how much your plate of food weighs). But unfortunately time is ticking and we’ve suddenly become aware that we have to be on the other side of the continent in 6 weeks for our flight to Easter Island. So our next stop is going to be our last in Brazil – and it’ll be right back to the other side of the country to the Pantanal before heading across to Bolivia. Brazil is just too enormous to get our teeth into properly just yet- we’re going to have to save the rest of it for next time!! 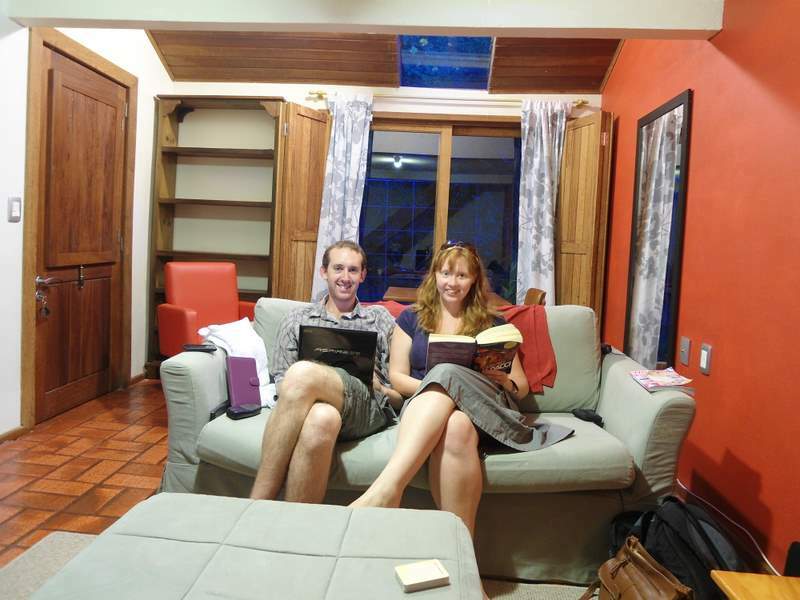 Hi James and Claire, it sounds like you guys are having so much fun! Loved reading your blog! Safe travels and enjoy every minute.